ChicExecs Secures PediPocket on FOX 4 and nationwide FOX news stations! Our latest feature is for our client PediPocket on FOX News! 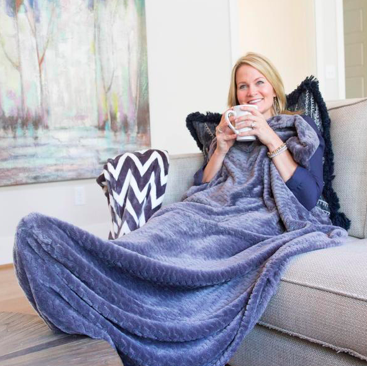 The patent pending plush fleece blanket with the perfect foot pocket will embrace you after a long day, keep you comfortable at your tailgate, and enhance any decor. With 10 different color choices, there’s a PediPocket for every member of the family. Check out the PediPocket for a new way to stay cozy and warm.